A concentrated drying agent for final rinse of spray-type dishwashing machines. 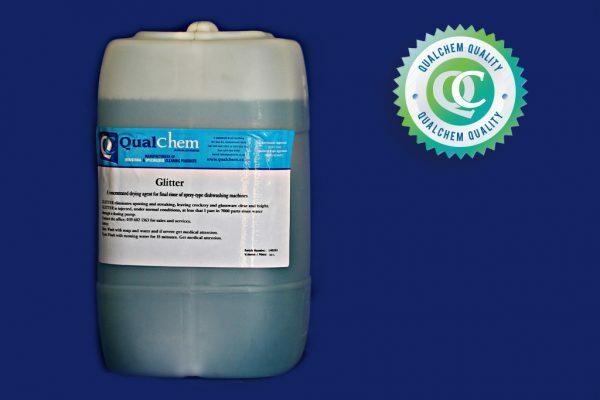 Glitter eliminates spotting and streaking, leaving crockery and glassware clear and bright. GLITTER is injected, under normal conditions, at less than 1 part in 7000 parts rinse water through a dosing pump. Contact the office: 039 6821363 for sales and service. Skin: Apply hand cream for dry skin. Eyes: Wash with running water, administer eye drops. If severe seek medical attention. Ingestion: Drink large amounts of water. If severe seek medical attention. 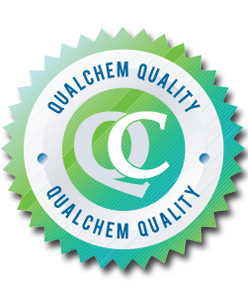 Trading integrity, quality products and strong support services are the essentials of the complete Qual Chem Quality Experience. Our goal is to produce effective cleaning products that improve and sustain our customers’ quality of living.